JM Automotive is awesome There service was great and prices very fair. I also appreciated the fact that they were able to pick me up when my car was done. I will be referring friends and family! When you go to JMS Automotive it feels like you've got family working on your car. Service is spot on and done in an efficient manner. Got the job done quickly and were great about keeping me informed! Good, reliable, well priced auto repairs. Fast friendly service at a good price. My new go to automotive maintenance shop in Green Valley! Work was done right and on time. 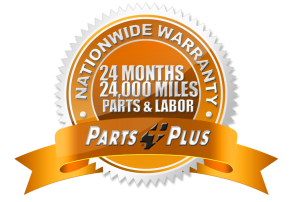 Most honest and trustworthy automotive service providers in southern Arizona. Okay so I didn't actually use them but I did talk to them on the phone. I thought the guy who helped me with my quote was very helpful and was sincerely trying to figure out what needed to be done & what I could safely wait on fixing. My husband picked someone else but next time i'm definitely giving them my business. I have used Jm's several times for repairs and service and have never been disappointed. Friendly staff, honest pricing will keep me coming back! We had a great experience! They got us in the same day I called, thoughtful, professional, and friendly!Highly recommend! Fabulous! Brought in my 2007 SL 550 and they found where there had been some substandard work performed prior. Very thorough, competent, professional, & fun! A great bunch of guys...Plus, Tony is great! Thanx!! After doing business with Eric, I can say he treated me with respect and made the experience a pleasant one. I recommend Jm's Automotive! I have known the owner of this business for many years. I highly recommend this business to my clients in Green Valley. Instead of the usual "laundry list", this facility makes recommendations on what needs to be fixed immediately, pretty soon and further down the road. Good, friendly service. Was not the cheapest option to have my truck serviced but they are knowledgeable and got the job done right while keeping me informed. Would recommend if you need your vehicle worked on. Absolutely wonderful service, very knowledgeable and honest people. We appreciate their opinion and help very much! My battery died unexpectedly as they usually do. I called JM Automotive and while I was driving over there, they were already locating a battery for my car. They checked the battery and the alternator and determined it was the battery. They replaced the battery and I was on my way in 30 minutes or less. I highly recommend JM Automotive. I have now had 2 things I could not fix on my own and have taken them to JM's. They were very quick and knowledgeable. They provided regular updates and always had a few choices for me to consider. Above all, I trust them. I recommend them to everyone. I called JM awhile back to look at a problem. They came and picked up my car and had it back to me by the end of the day. Their pricing is more than fair. Their workmanship is excellent. Their service is second-to-none. I recommend sending your car in here if you are having any issues at all. Some problems are easy to diagnose and correct and some are not. Unfortunately I had one of the latter, but JM worked hard on my old engine, gave me regular updates and charged a fair price. I strongly recommend them. Tony set up my new gears in my Jeep perfectly! I have about 2500 miles on them now and they're working great!! I really appreciated that he also found and welded up 6 cracks in the process. It was new to me at the time. Having a detail oriented shop like JM's really gives me peace of mind every time they lay hands on any of my vehicles.